The speed and accuracy of information and the initiated actions during the first minute of an emergency will impact the outcome. Notify your people - Providing the information necessary to keep people out of harm’s way is paramount to any emergency response and it needs to happen immediately. 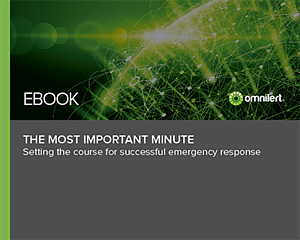 Mobilize additional resources - Including first responders in your communications is fundamental so you know you are receiving proper backup.